Ample parking with more than 150 spots available to accommodate the Tzibur.. The Daled Minim Wholesale Center, due to its immense buying power and the variety of sources, has been able to obtain large quantities of high quality esrogim so that it can provide quality Daled Minim to its customers as usual, at below-market prices. The Daled Minim Wholesale Center has been operating for eight years, with many happy clients throughout Lakewood and the greater New York area. 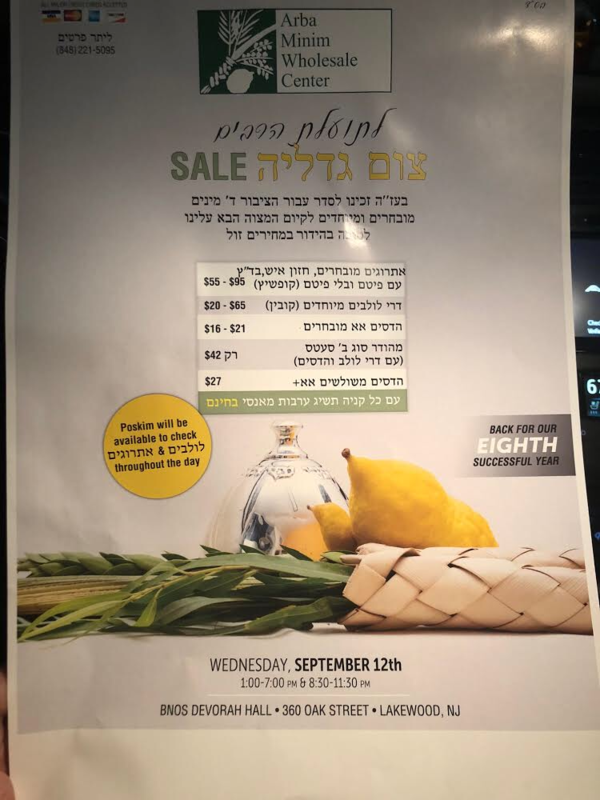 Deri Lulavim, esrogim of all types and highest quality haddasim will be available for purchase in a range of prices, so that all customers can find Daled Minim that suit their particular needs and preferences. 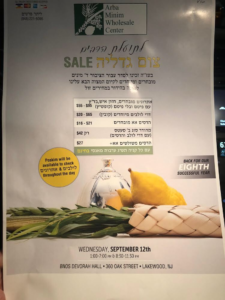 Don’t miss the Daled Minim sale of this Yom Tov season which takes place this Wednesday at Bnos Devorah. Poskim are available for your shaalos. Mention the Lakewood Scoop to receive free Aravos with your purchase* restrictions apply.